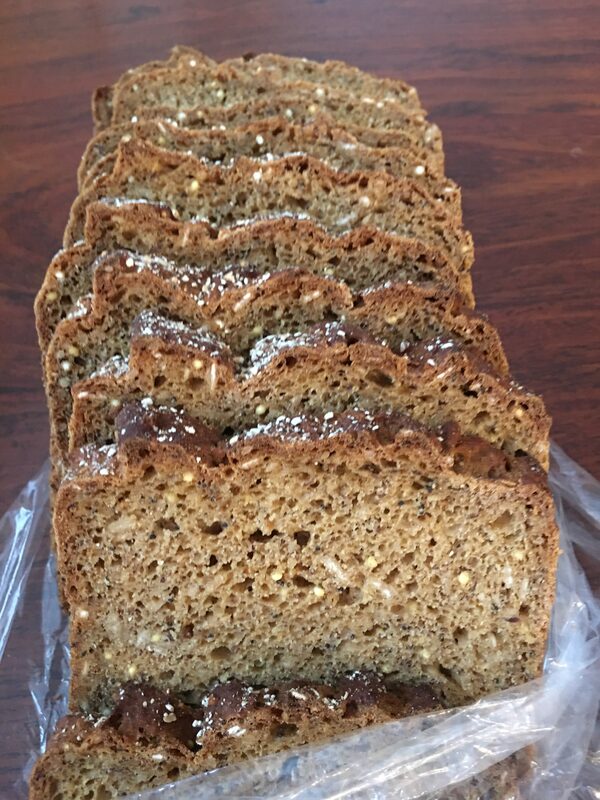 Finding a delicious loaf of gluten-free plant-based bread can be challenging because replicating the texture of wheat bread is difficult. 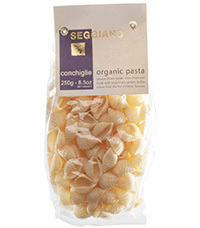 Most gluten-free breads fall apart and lack the depth of flavor and texture inherent in breads made with wheat. 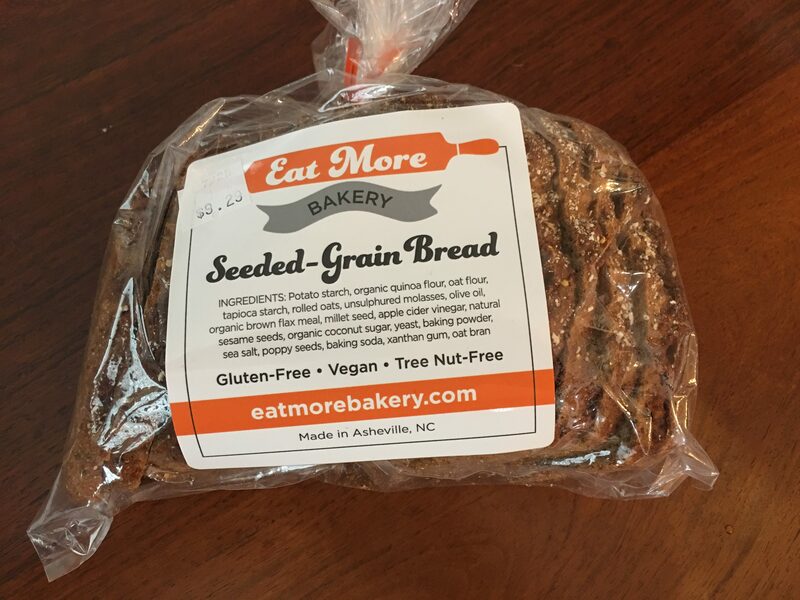 But, not Seeded-Grain Bread by Eat More Bakery, a gluten-free bakery in Asheville, North Carolina that makes and sells this incredible loaf of bread for $7 a loaf. 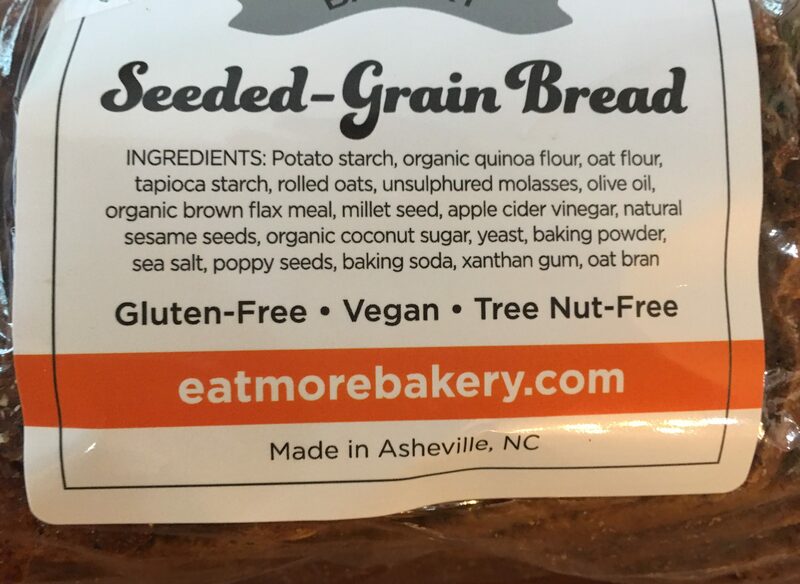 Together, the above ingredients make one of the most delicious, gluten-free, vegan, tree nut-free savory breads available. Moist and hearty, Seeded-Grain Bread has a distinctively nutty flavor and holds together perfectly. Lightly toast and enjoy with jam or for sandwiches. Each loaf provides about 14-15 slices of bread. For local orders, order on-line for local pickup (loaves are baked on Monday, Wednesday, and Friday and can be picked up fresh on those afternoons) or call 828-713-5222 or stop by the French Broad Co-Op at 90 Biltmore Avenue in downtown Asheville, and buy a loaf for $9.29. Store in the refrigerator and toast as needed.